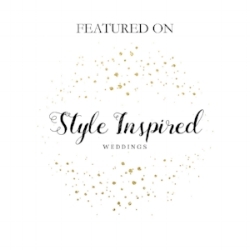 Shantelle & Brian planned a very fun, chic, art-deco inspired wedding for this past November. The weather (for Saskatchewan) was unseasonably warm (+14C !) and it was a bonus for them and their wedding party to wear their black and gold customized converse sneakers instead of winter boots. I often find that you tend to be more comfortable in your own surroundings, your home makes a great backdrop to who you are, and kids tend to be more at ease (and can run around barefoot!) I loved this session, not only because the Dueck Family are my friends, but because it is so full of love. Trying to put into words all the reasons why I just love this wedding and the couple that go along it is overwhelming, so I will resort to list form. You may recognize this sweet family, as they’re regular clients of mine over the past few years. It’s fun to see these two boys grow up and love/wrestle with each other. I met up with the stylish double-denim duo of Kurstin & Taylor in downtown Saskatoon for their engagement photos a few weeks ago. I didn’t overly scout out the area ahead of time because I wanted to have a fresh set of eyes to the locations that we found and let the session unfold more organically. I like that they’re laid-back and they made this photo shoot look effortless and magazine-spread-like.I like that they’re getting married next month and we”ll get to do this again. It’s a bit ironic that Ryck might not be able to see this blog post immediately, as he is at a wilderness camp in the middle of Quebec with limited internet capabilities. Or maybe it is actually very poetic?! This outdoors-y couple met me for a laid-back snowy, riverbank engagement photo session that included beer, campfire and Tim Horton’s hot chocolate. Taryn & Emily are sincere and kind. Their wedding day was heartfelt and joyous. Details were in abundance: paper flowers made by the bride, a hand built wooden backdrop at the ceremony, wooden trays (made by the groom) adorning each table at the reception, custom sewn bow-ties, detailed sugar cookies made by the matron of honour, a custom coffee bar for the guests, tables heaping with dessert and cakes made by friends– this wedding was one where hand crafted was part of the day. A friend of the couple asked me if I had ever been to a wedding this epic before. My response was that I believe every single wedding is epic. Whether you’re having a small, intimate exchange of vows in your living room, or a romantic backyard wedding, or a sparkly ballroom event- anytime, anyone wants to announce their love and commit to it- well- to me that is epic. Pour yourself a drink and settle in. I tried to edit the photos down to a more manageable amount for a blog post, but really – I just couldn’t. Maybe it’s because they are your stories that you’re allowing me to help create and tell alongside you and these stories are real and authentic and full of love. And that’s simply why it’s not easy to leave anything out. I’d suggest you pour yourself your drink of choice and settle in. Why? Because this blog post is epic. I thought I had it all ready to post, and then I had to go and add in more photos to the story, just because it was so, so good. Why will you make it to the end of this epic blog post? Because who doesn’t adore love? That’s what this wedding is all about. Enjoy.